The prevailing EU neoliberal economic and social policies have a familiar, retrograde focus: Increase market growth at all costs, deregulate and privatize while reducing government spending, social protections and services. This approach is failing miserably and highly unpopular, especially in France, Italy, Spain and Greece. But politicians cannot seem to escape this box, and even where leftist reformers win state power, as with Syriza in Greece, international capital (in the guise of neoliberal politicians) overwhelm them. Even state sovereignty is not enough! 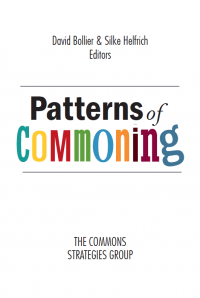 So how might the commons help instigate a new political discussion? The Commons Network report makes clear that the challenge is not about policy tweaks. A new worldview is needed. A holistic systems perspective is needed. Who is going to stand up for all the uncountable forces that make our lives liveable? How can The System begin to take account of those things that can’t be tabulated on budget spreadsheets or aggregated into Gross Domestic Product? 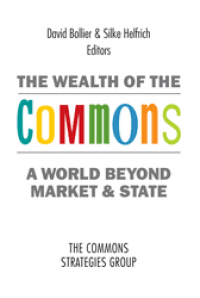 Read more about Can Commons Thinking Break into the European Mainstream? I am often asked what the commons has to contribute to solving our climate change problems. 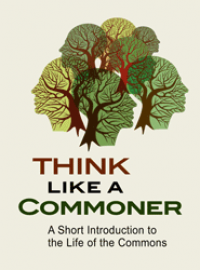 Since most commons are rather small scale and local, there is a presumption that such commons cannot possibly deal with a problem as massive and literally global as climate change. I think this view is mistaken. 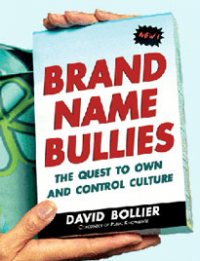 The nation-state as now constituted, in its close alliance with capital and markets, is largely incapable of transcending its core commitments to economic growth, consumerism, and the rights of capital and corporations -- arguably the core structural drivers of climate change. But these allegiances artificially limit our options, if not dismiss the kinds of interventions we must entertain. The market/state simply command and coerce its way to success in arresting with climate change; it will require the active, enthusiastic contributions of everyone, and it must command social respect and political legitimacy. A new vision and popular energy from the outside must arise. But how? And how could it possibly expand to a meaningful size rapidly enough? I think that the Internet and other digital networks offer a fertile vector in which to develop new answers. I explore the speculative possibilities in this essay written for Friends of the Earth UK, published as part of its "Big Think" essay series. Because the piece -- "Transnational Republics of Commoning: Reinventing Governance Through Emergent Networking" -- is nearly 14,000 words long, I am separating it into three parts. You can download the full essay as a pdf file here. Here is our plan and our rules. If someone or several people stand up and say they are hijacking this plane, I want you all to stand up together. Then take whatever you have available to you and throw it at them … There are usually only a few of them, and we are two-hundred-plus strong. We will not allow them to take over this plane. I find it interesting that the U.S. Constitution begins with the words, “We the people.” That’s who we are, the people, and we will not be defeated. Today's post is the third in a four-part series derived from my strategy memo, "Reinventing Law for the Commons." This excerpt continues with Part II, "Legal Innovations in Beating the Bounds," with "clusters" #5 through #9. The collection of entries here are now posted on a Commons for the Law wiki hosted by the Commons Transition website. There are a number of legal and organizational innovations transforming co-operatives these days, making them moreoriented to commoning and the common good than just marketplace success. However, these innovations are geographically dispersed and not necessarily widely known, even within the co-operative movement. One of the most notable new organizational forms is the multistakeholder co-operative (or “social and solidarity cooperative”), which has been rapidly proliferating in recent years. It got its start in Italy in 1963 when families in Italy joined forces with paid care workers to develop co-operatives to provide social care, healthcare and educational services. This new paradigm collectivizes and centralizes basic overhead services (administration, personnel, accounting, etc.) and in this way empowers smaller social economy ventures (similar to “omni-commons,” see section #8 below). 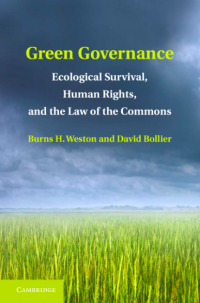 In a sense, multistakeholder co-ops regularize governance for co-stewardship of commons spaces and moves away from rigid bureaucratic methods that increasingly don’t work. Multistakeholder co-ops now employ more than 360,000 in paid jobs, including the disabled, the formerly imprisoned and marginalized people, and more than 40,000 volunteers. Social co-operatives have spread to all regions of Italy and today number more than 14,000, making it a significant sector of the Italian economy that is neither market- nor state-based. Today there are multi-stakeholder co-operative movements in Quebec in Canada and in a wide number of countries in Europe including France, Spain, Poland, Hungary, Finland and Greece. Our knowledge about what makes digital commons work is terribly under-theorized. Yes, there are famous works by Lawrence Lessig and Yochai Benkler, and there are lots of projects and websites that are based on commoning such as like Wikipedia, free software, Arduino, open access journals, among countless others. But can we identify core principles for organizing digital commons? Can we use that knowledge to engineer the evolution of new commons? Identifying such principles just might let us move beyond “openness” as the ultimate goal of online life, to a more sustainable goal, the self-governed commons. 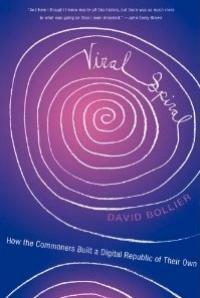 It has been a pleasure to discover that some computer scientists are actively exploring how Elinor Ostrom’s principles for successful commons might be applied to the design of software. Consider this intriguing essay title: "Axiomatization of Socio-Economic Principles for Self-Organizing Institutions: Concepts, Experiments and Challenges,“ which appeared in the ACM Transactions on Autonomous and Adaptive Systems, in December 2012. We address the problem of engineering self-organising electronic institutions for resource allocation in open, embedded and resource-constrained systems. In such systems, there is decentralised control, competition for resources and an expectation of both intentional and unintentional errors. The ‘optimal’ distribution of resources is then less important than the sustainability of the distribution mechanism, in terms of endurance and fairness, based on collective decision-making and tolerance of unintentional errors. In these circumstances, we propose to model resource allocation as a common-pool resource management problem, and develop a formal characterization of Elinor Ostrom’s socio-economic principles for enduring institutions.